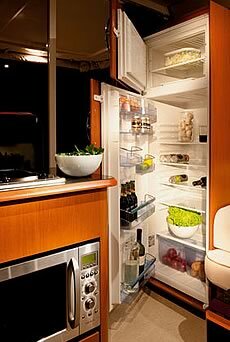 The Greenline 40 Hybrid is based on the success of her smaller sister, the Greenline33 Hybrid. 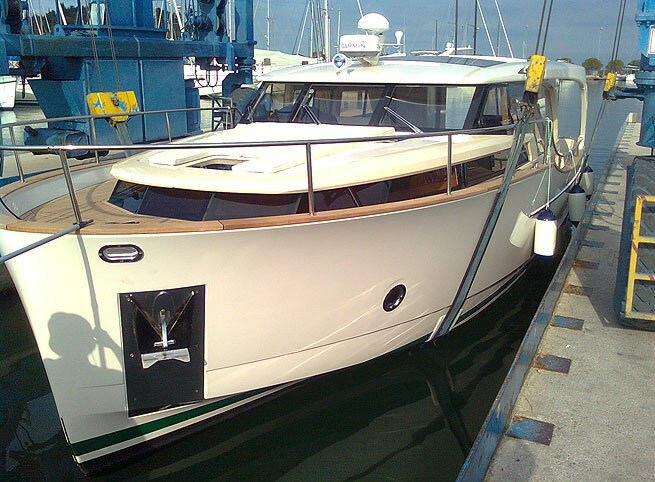 Introduced in September 2009 the Greenline 33 found over 100owners throughout Europe in the first year. 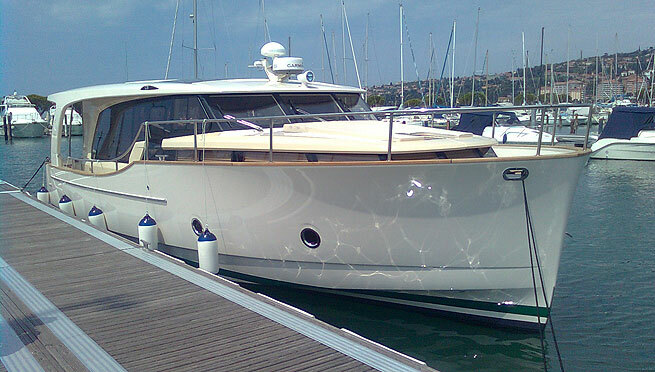 Greenline 40 Hybrid was designed as a larger yacht of the same philosophy: with great ease of handling, unmatched safety and seaworthiness this boat provides you with the comfort of your home for longlasting well-being on board. 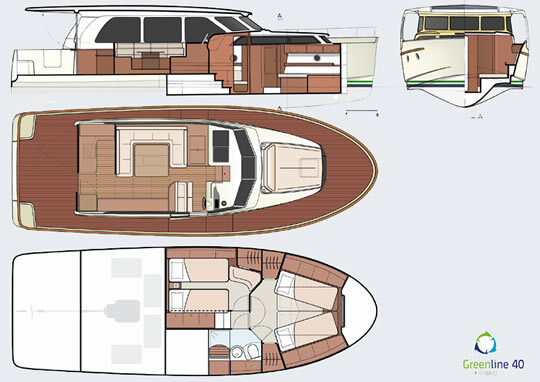 The low-drag energy-saving Superdisplacement® hull coupled to hybrid (diesel/electric) and solar technology brings unique efficiency in use of natural resourses and your financial assets at purchase and use of this motoryacht. She is protecting the environment – and yourself – sailing without smoke, noise or waves in the electric mode and drastically reducing the amount of fossil fuel used during a boating season. Displacement empty: 8000 kg appr.